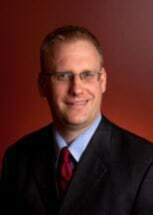 Today's guest post was authored by Jon Rehm**, Esquire of the Nebraska Bar. Lawyers on “both sides of the v.” in Nebraska like to grumble about rules and regulations imposed by the workers’ compensation court. But ideally, rules make the workers’ compensation claims process easier. A good example of the benefit of some bureaucracy in workers’ compensation would be the fee schedule for medical bills required by statute and developed by the court on an annual basis. In simple terms, the fee schedule determines what an employer/insurer is required to pay for medical services in a workers’ compensation claim. The fee schedule eliminates disputes over what constitutes a fair and reasonable charges in a Nebraska workers compensation case and in many other states. Contrast this with New Jersey, a state that doesn’t have a fee schedule in workers’ compensation. In New Jersey courts must determine fair and reasonable charge on a case by case basis.In fact, thanks to a reform put in place by former Governor New Jersey Governor Chris Christie, nearly 20 percent of workers’ compensation cases filed in New Jersey involve disputes between medical providers and insurers/claims administrators over medical charges. One leading New Jersey workers’ compensation defense firm predicted, almost gleefully, that soon 1/3rd of workers’ compensation cases in the Garden State will involve cases between medical providers and insurers/claims administrators over medical charge. I hate to sound cynical, but as work injuries continue to decline, workers’ compensation defense lawyers can grind billable hours in what amount to commercial disputes between doctors and insurance companies . Uncertainty over reimbursement for workers’ compensation services would also discourage medical providers for treating workers’ compensation patients. In my experience a mutually agreed upon fee schedule for medical charges for workers’ compensation claims greatly simplifies workers’ compensation cases. An administrative solution on medical costs in workers’ compensation is much better than litigating the issue on a case by case basis. Editorial note: An effort to establish mandatory arbitration in medical fee disputes was a subject of a failed NJ legislative effort over a decade ago. More recently, an effort was made to urge changes in the NJ Workers' Conpensation system to resolve medical fee claims in an efficient fashion. National commentators have urged that NJ finally establish a medical fee schedule in workers' compensation matters. To date the issue remains unresolved in NJ. Medical fee disputes continue to increase exponentially resulting in disruption of the benefit system for injured workers. **Jon Rehm has practiced workers compensation, employment law and personal injury law since 2005. He has represented employees in state and federal cases, in the Nebraska Workers Compensation Court, administrative proceedings in front of the Nebraska Department of Labor and Nebraska Equal Opportunity Commission and have also represented union members in arbitrations. Jon has presented about workers compensation and employment law for groups such as American Bar Association, the American Association of Justice, the Nebraska State Bar Association and the Nebraska Association of Trial Attorneys and at the University of Nebraska College of Law as well as to labor unions and management groups. He writes frequently about topical workplace law issues at his firm’s blog, www.workerscompensationwatch.com and he recently had a feature article about the interpretation of workplace law in the Trump era that was published in The Nebraska Lawyer magazine. In addition to protecting workers rights in the judicial system, Jon Rehm, Esq. also protects the ability of employees to protect themselves in the legislative and political arena. I regularly testify in front to the Business and Labor Committee in the Unicameral on issues relating to workers compensation. He serves as a PAC Trustee for the American Association of Justice and the Nebraska Association of Trial Attorneys. His wife Abby is the NSEA building representative at Culler Middle School in Lincoln where she teaches 8th grade English. Jon Rehm lives in Lincoln with our 2 year-old son, Russel.